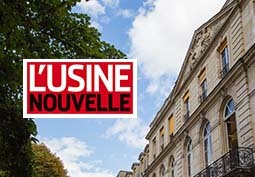 Les travaux de V. Yastrebov sont maintenant accessibles sous la forme d'un recueil très détaillé. Après un double titre pour sa thèse, V. Yastrebov fait paraître un livre concernant ses travaux sur les méthodes numériques associées au calcul des contacts en mécanique. 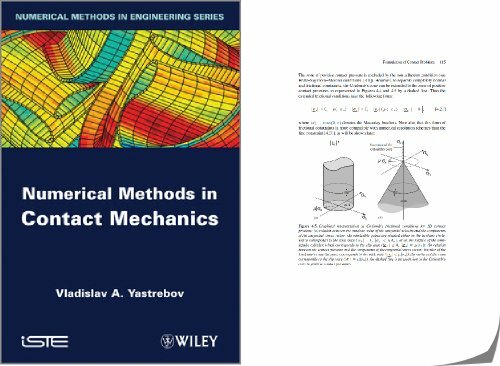 "Numerical Methods in Contact Mechanics" by Vladislav A. Yastrebov was recently published by ISTE/Wiley in Numerical Methods in Engineering series. On more than 400 pages it covers a wide range of topics related to numerical treatment of contact problems in mechanics. Many examples and more than 150 figures make the reading easy and accessible. The publication of a new book is associated with rapid developments in the domain of computational contact mechanics. So it attracts new people - the major readership of this book - graduate and undergraduate students in mechanical engineering, and researchers working on the development of commercial and in-house finite-element software treating contact problems. The book covers all basic ingredients of contact and computational contact mechanics: from efficient contact detection algorithms and classical optimization methods to new developments in contact kinematics and resolution schemes both for sequential and parallel computers. The book combines extended introductory parts with new developments, so it is accessible for freshmen in this domain and is of interest for established researchers. The book consists of three major parts dedicated to three basic blocks of the numerical treatment of contact: kinematics, detection and resolution with 2:1:2 page proportion. In the first part using a new generalized tensor algebra, the author introduces original notions in contact kinematics and extends the classical formulation of contact elements. He also discusses rigorous definition of the closest elements, gap functions, and introduces a shadow projection technique. The latter allows him to overcome some inherent difficulties of classical projections and to construct a reliable resolution algorithm. In the second part the author discusses robust and efficient contact detection algorithms both for sequential and parallel computer architectures. The final part exposes classical and new resolution methods for contact problems and gives associated ready-to-implement expressions. All chapters feature many examples, figures and schemes. To simplify the reading, in appendix the author gives an extended introduction to tensor algebra that is extensively used through all parts of the book. Vladislav A. Yastrebov is a young researcher at Centre des Matériaux, MINES ParisTech, CNRS UMR 7633, whose work in computational contact mechanics was recognized by several awards: Prix Paul Caseau of the French Academy of Technology and Electricité de France and the award of the French Computational Structural Mechanics Association (CSMA).